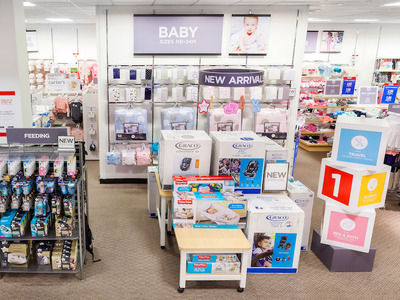 The department store is looking to capitalise on Babies R Us’ store closures and lure in new customers. JCPenney is wasting no time in capitalising on the downfall of Toys R Us. In an interview withThe Wall Street Journal in July, Mike Robbins, JCPenney’s executive vice president of supply chain – and one of four executives filling the role of CEO while the company searches for a replacement for Ellison – said that the store’s biggest downfall had been in taking its eye off its core customer in a bid to appeal to millennial shoppers. The core customer he’s referring to here is the middle-aged mum. This isn’t the first time that JCPenney has looked to capitalise on other retailers’ bankruptcies. As part of his turnaround effort in 2016, Ellison led the charge to bring appliances back to stores after a 33-year hiatus.